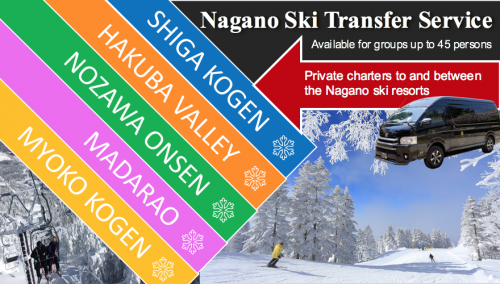 Nagano City is bigger than most people image, with suburbs going as far out as 1 hour by car. One of the Nagano suburbs is called Matsushiro, a part of Nagano that is worth exploring. Matsushiro is an old castle town, centered around Matsushiro Castle. This castle was the main residence of the prestigious samurai clan of Sanada in the Edo Period. Matsushiro still has many building remaining of that period, like temples, gardens, houses, and more. The castle remained property of the Sanada clan until 1868, the start of the Meiji Period which marked the abolished the samurai system. The castle was destroyed a few years later in a fire. In order to restore the former beauty of the castle, restorations of the castle walls and the main gate were completed in 2004. 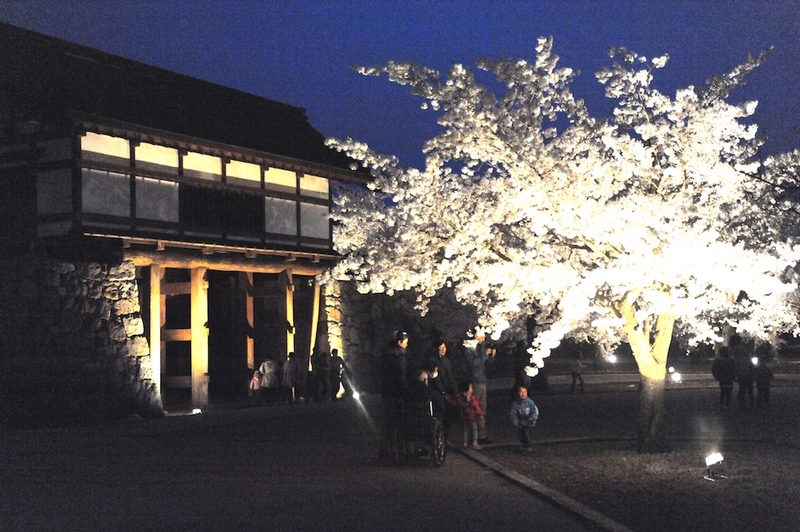 In place of the inner courtyard, cherry blossom trees were planted, which now bloom every spring, attracting large audiences. 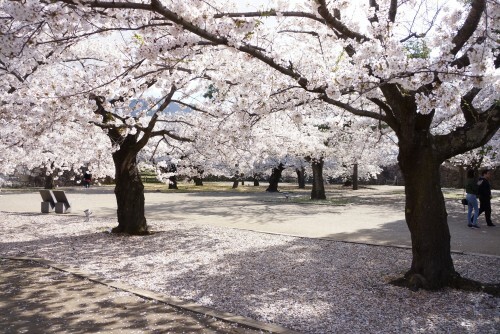 People from all over come to the castle grounds to relax beneath the trees and look at the pink-colored blossoms while drinking and eating. During that time of year, there is also an extravagant festival held. See more about Matsushiro’s Spring Festival here. 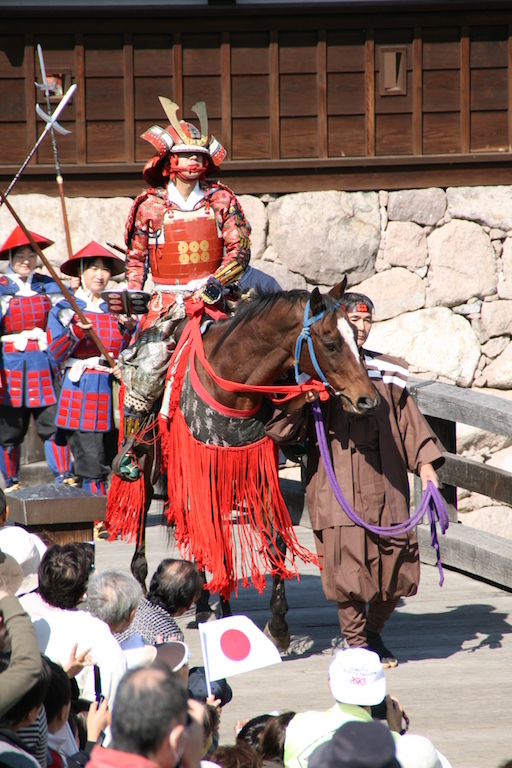 Another festival held on the castle grounds is the Jumangoku Festival. 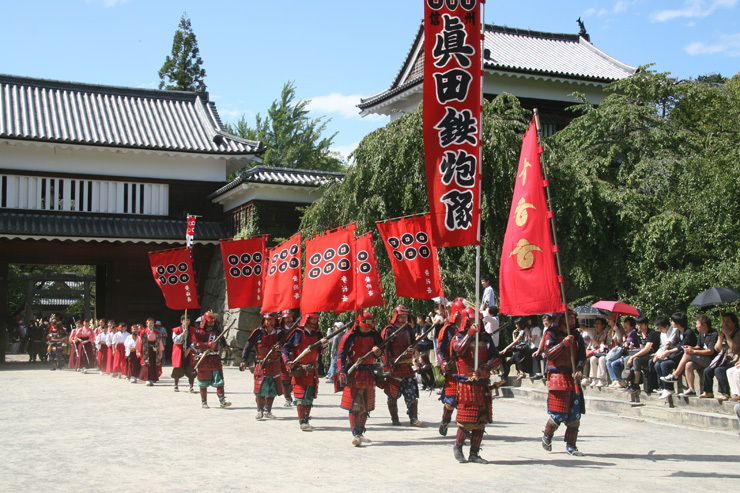 Every year in October, this Samurai-themed festival is held to celebrate the glory of the Sanada clan. See more information about the festival here. Matsushiro is about 12 kilometers away from the city center, but accessible by public transport or bike (also on foot if you don’t mind the walk). 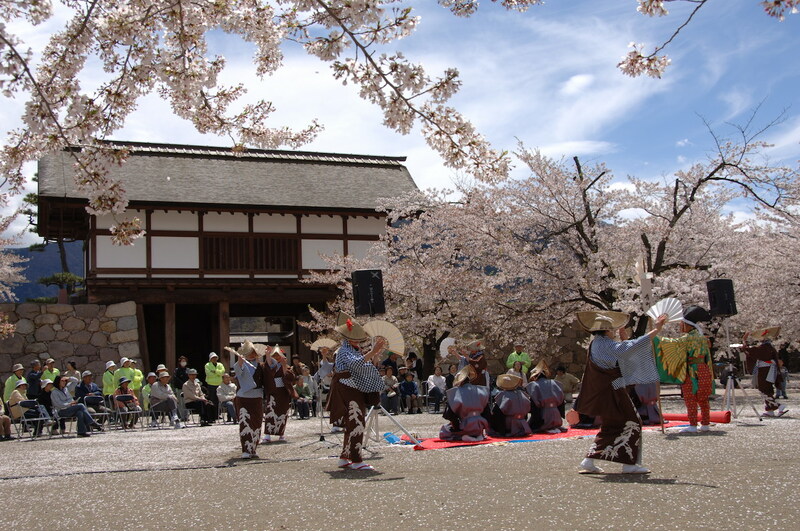 Matsushiro is rich in history and culture so drop by and discover!